We have a Guest Designer this week at Less is More so do pop over there to see what Elaine has produced. 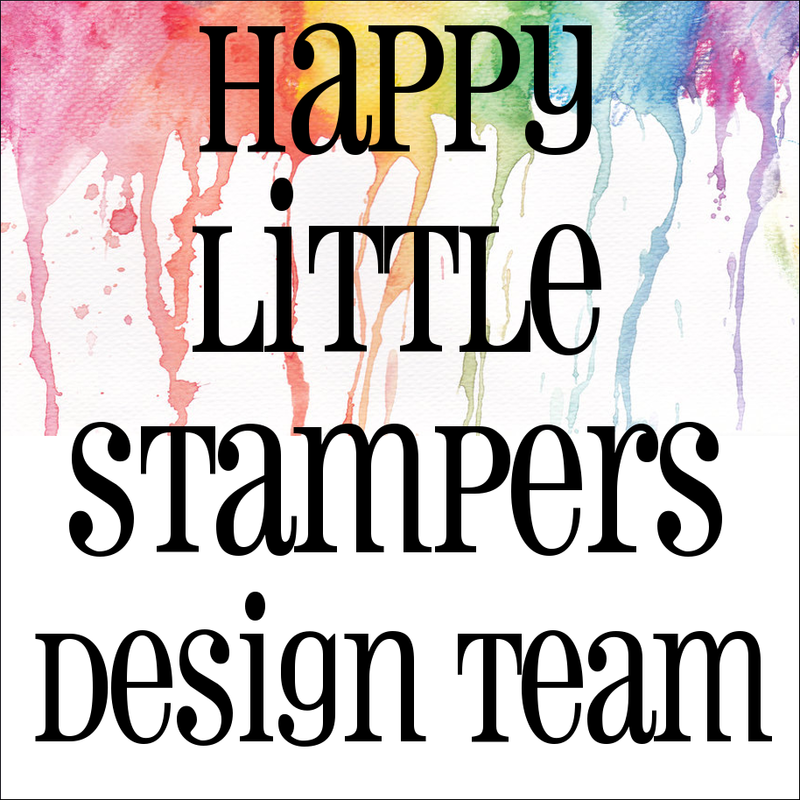 I have only managed one card this week as we have had our two grandchildren with us, so we have been rather busy! 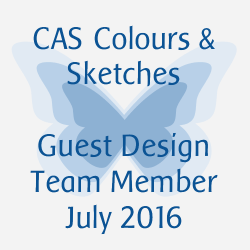 The challenge is to use Mists or Sprays! This background was made by squishing flowers from the garden between two pieces of card in my Cuttlebug machine. I love this technique, but this time, when dry and removed of debris, I spritzed the card with Cosmic Shimmer to give a bit of added sheen. The butterfly is from a Memory Box die, the foliage from Wplus9 and the sentiment from Hero Arts. Great card, I love the texture created by the squished flowers. I need to remember this technique and have a go! Thanks for my GD invite! A beautiful card and I'm sure Anne will love it! That sounds like a super clever technique you've used too and makes a gorgeous effect. Hope you have a slightly less hectic week. Such elegance, Chrissie! This is just gorgeous! My hat is off to you for getting a card done with grandchildren visiting! They keep us busy! But it's such a happy busy! 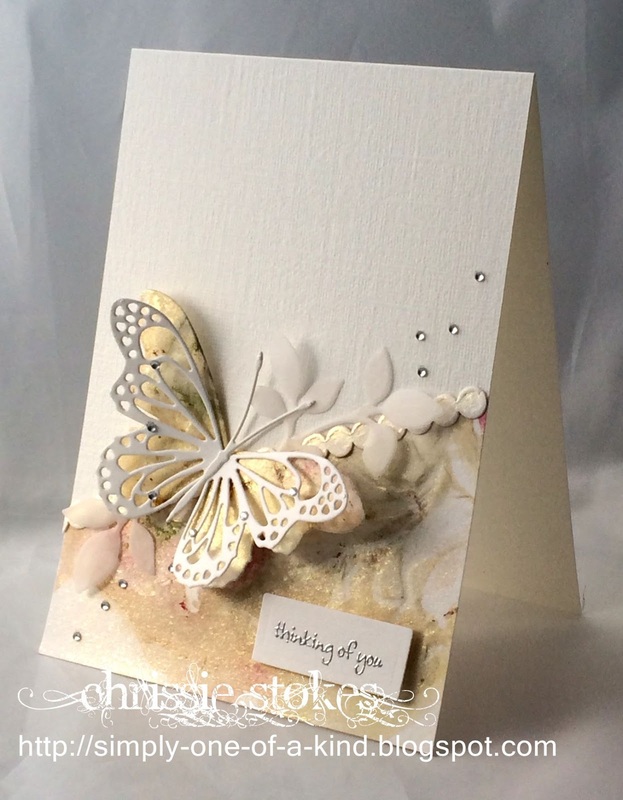 great challenge Chrissie and I love your beautiful subtle card, just gorgeous! Simply beautiful...and you had time to do it as well as entertain the grandchildren! Your creation is gorgeous and definitely one of a kind! So gorgeous, Chrissie. This would make a love wedding card. WOW, this really looks great, Chrissie!!!! Like the idea of squishing flowers with the Cuttlebug - you have really created a lovely effect with beautiful colours!!! There is such a lot of lovely detail on this card - the gold circles, the vellum leaves, the super stunning butterfly, the bling ...all put together to make a stunning card!!! Love it!!! Hope you had a great time with the grandkids!! !